The first games of the first round of playoffs did not disappoint! Houston’s James Harden had 37 points in a route of OKC. Harden looked like he was he was on a mission for MVP of the league as he outscored fellow MVP favorite Russell Westbrook by 15 points. Harden and Westbrook are good friends off the court, but during the playoffs, Westbrook said he won’t communicate with Harden. His philosophy is,“When I’m on the floor, I only have one friend and it’s the basketball. I’ve been like that since I was a little kid. My dad taught me that when I was younger. 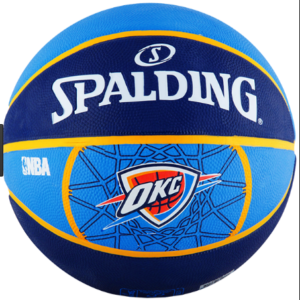 When you get on the floor, you have one friend — and your friend is Spalding.” Rockets 118, Thunder 87. The Chicago Bulls beat the Boston Celtics in an emotional game for Celtic’s point guard Isaiah Thomas. Thomas’s sister tragically died on Saturday in a car crash, and even though completely distraught Thomas played on Sunday and scored 33 points. Players from around the League poured out their sympathy for Thomas and expressed their awe in how Thomas focused his energy on the court to support his team. The Bulls’ Jimmy Butler said,”He’s a helluva player. It just goes to show the type of player and man he is to go out there and battle through what he was going through for his organization and team.” Bulls 106, Celtics 102. The Golden State Warriors were neck and neck with the Portland Trailblazers until the 4th quarter when Draymond Green put on a show. Warriors 121, Trailblazers 109. The Cleveland Cavaliers barely topped the Indiana Pacers with a 109-108 win. The Pacers’ Paul George looked upset at the end as he wanted to shoot the ball on the last play to try and give his team the win. For the rest of the playoff picture, click here. New York Giants QB Eli Manning is in hot water for allegedly selling non-game used memorabilia to collectors through dealer Steiner Sports. One email from Manning stated he has “two helmets that can pass as game used.” Manning has a stellar reputation on and off the field, so if this story is true, Manning’s reputation will take a big hit.